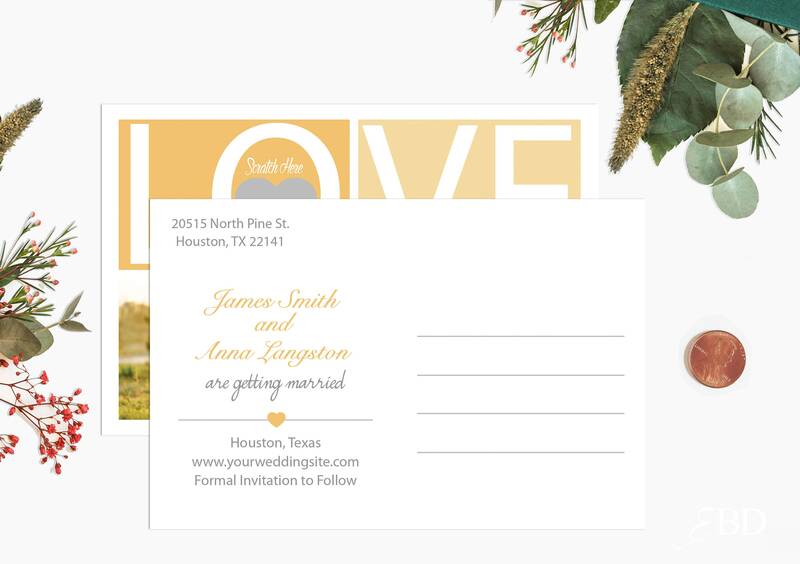 ♥ 4" x 6" Custom save the date cards. ♥ Stickers will come affixed to the card. ♥ Available in matte or glossy finish. ♥ Some of our save the dates will also have a optional postcard backsides. ♥ We do not offer envelopes with our cards. I want to give the customer the option to purchase their own color and style of envelopes. ♥ Production and shipping time will be 2 weeks if you are located in the U.S. Your cards will come ready to use! Just scratch off firmly with a coin! I can adjust the fonts and colors to fit your needs. The basic card layout will come as is. I can also do gold, or silver stickers. 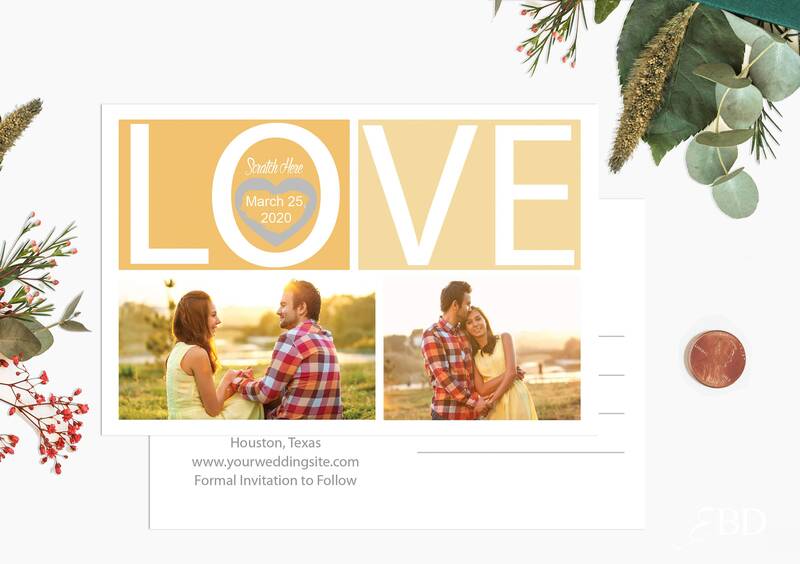 Please send send me an Etsy message with your save the date images. Unfortunately we do not start on design proofs until after payment has been made. This prevents unauthorized reproduction of our work without consent or without proper compensation. Orders will be shipped within 2 weeks. All save the date cards are shipped USPS 2-3 day priority mail.